In a competition with such manifold betting opportunities as the French Open the temptation can be to employ a scattergun approach to your accumulators, chucking in the big guns at prohibitive prices to bolster your odds, but here we have shunned such a technique for a second round treble featuring some underrated outsiders that pays a juicy 13/1. Jan Hajek is taken to overcome Sam Querrey despite the world number 87 being the 13/8 doggy in the contest, with his American rival in the midst of the fifth losing dirt campaign of his eight-season senior career. The Czech has reached the second round of his last four tournaments on clay and can gain revenge for defeat in the pair’s sole meeting on the surface. 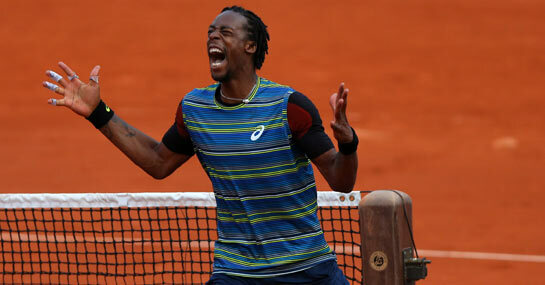 Another player who can overturn the odds is French wildcard Gael Monfils, who beat Novak Djokovic’s Rome conqueror Tomas Berdych in getting to this stage. Monfils has said in the past that his home crowd “give him wings” and he can see off Ernests Gulbis at 6/5, having reached the quarters here at Roland Garros in three of his last four visits. His Latvian foe has been playing well on clay this term, but has won just one of his last five matches in which his opponent took a set on the surface, a lack of resolve which should be tested to the limit by the hard-running Monfils. The third member of our unfancied triumvirate is Gimeno-Traver came back from two sets and 4-1 down to beat world number 16 Juan Monaco 4-6, 4-6, 6-4, 6-4, 6-4 in round one – a performance all the more notable given his Argentinian rival had won the Power Horse Cup in Dusseldorf in his last pre-Roland Garros tune-up. Monaco beat Jarko Nieminen in the final of that event and with the same foe having beaten Viktor Troicki 6-1,6-2 on the Monte Carlo clay earlier this season, the man who ended Monaco’s French Open is fancied to record his first win against Troicki at the fourth attempt, for which he can be backed at 6/5.